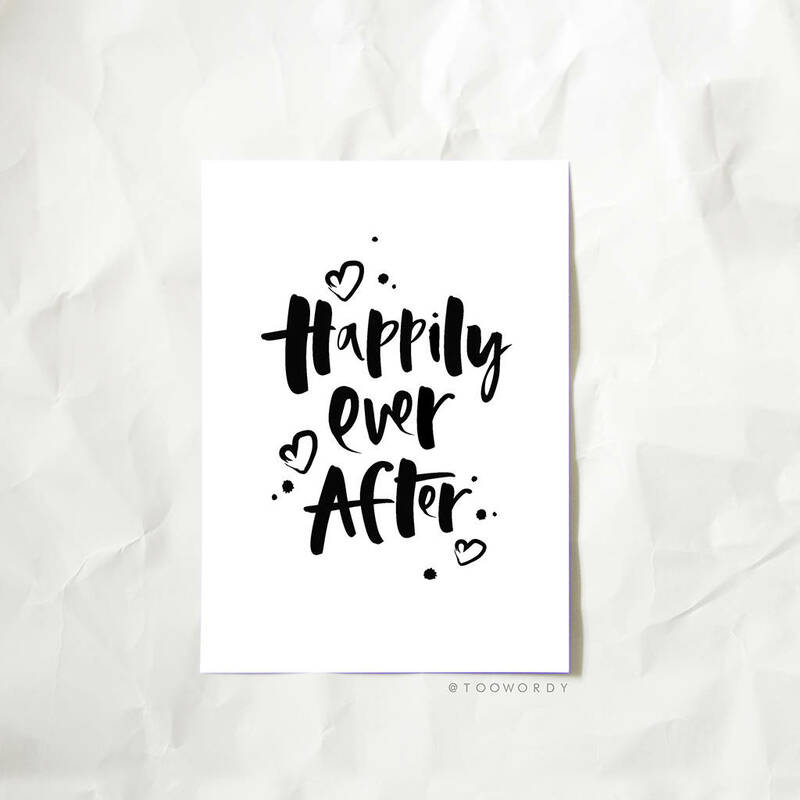 A beautiful and contemporary hand lettered 'Happily Ever After' wedding print gift. 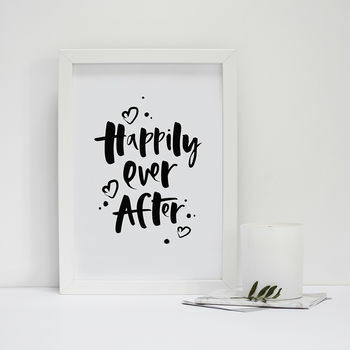 Designed in celebration of the big day, this hand lettered 'Happily Ever After' wedding print gift is the perfect gesture to make such a special occasion all the more memorable. Originally designed using a Japanese brush pen and rich, black Indian ink this print makes a unique and contemporary piece of art to make a statment in any home. Printed on luxurious matt paper with deep black inks, your print will be presented in a clear, protective, board-backed sleeve and delivered in a strong, recycled cardboard envelope for extra protection during transit. 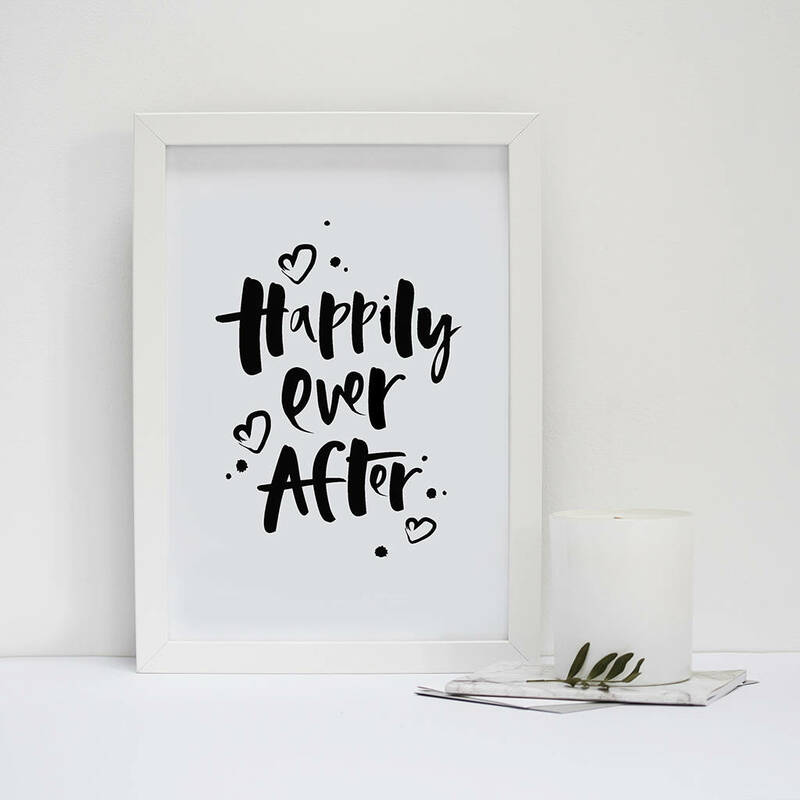 Each Hand Lettered Wedding Print Gift is printed onto the finest, pure white, 280gsm fade resitant paper and has a matt finish.